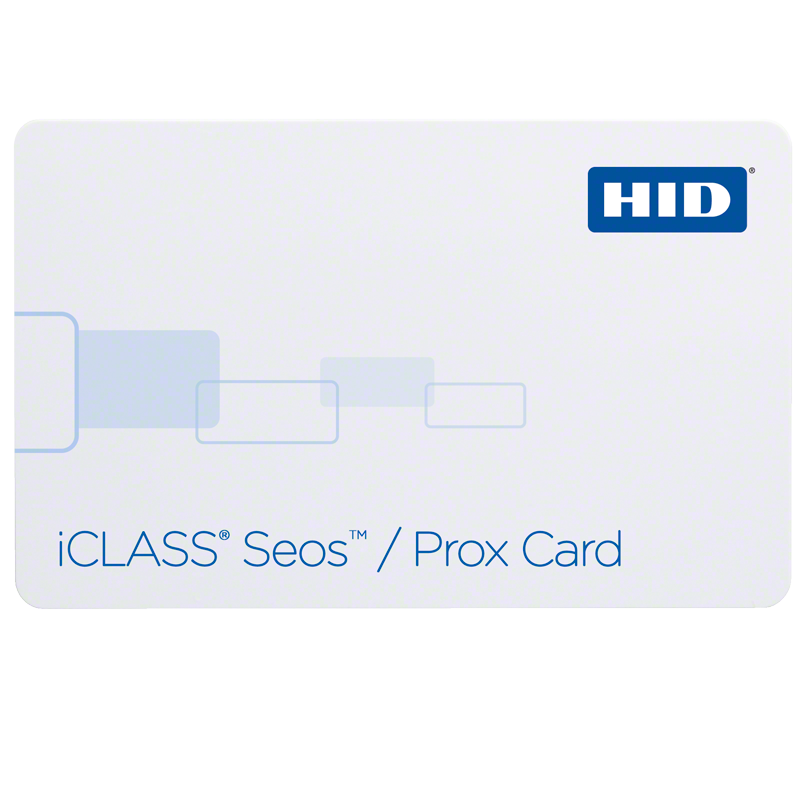 HID Global’s dual frequency iCLASS Seos® + Prox smart card allows for seamless migration from 125 kHz proximity technology to the future-proof, high-frequency Seos solution. 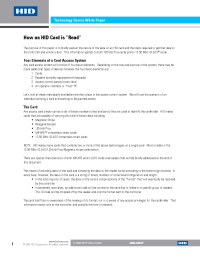 The card enables customers to maximize their investment with simultaneous support of widely adopted low-frequency proximity technology in conjunction with the heightened security of Seos. 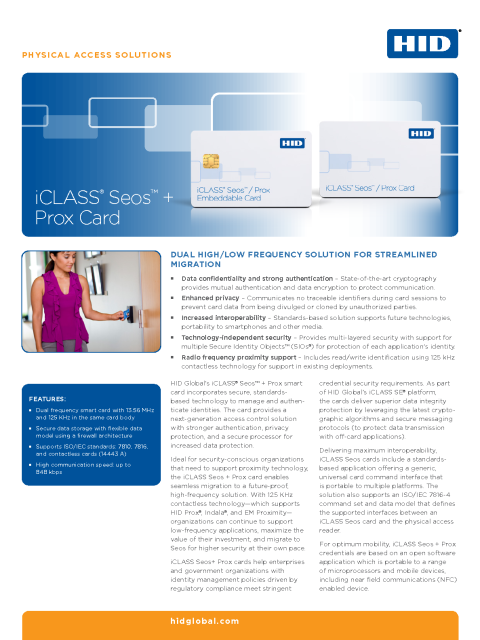 iCLASS Seos smart cards also enable users to carry dual identities in a single credential, delivering a true “one card” solution for physical and logical access control applications. The credentials can be programmed to open doors and access IT resources since they are provisioned to support other applications, including One-Time Password (OTP) authentication for network login.